Tackling the Roof of the World and Everest on my unicycle was the hardest thing I've ever attempted on one wheel. When you look at the obstacles facing you, whether it's the high mountain passes, the rocky dirt tracks, sub-zero ferocious winds, the thin air at high altitudes, or just the massive distances needed to cover -there's just nothing going for you. This was even more apparent riding the unicycle. As I write, I still can't believe how much I had to push my body to its limits to achieve my goal of completing the ride from Lhasa to Kathmandu. It was hard, very hard. But what a fantastic adventure - I wouldn't have missed it for the world! I would like to thank Dermot (redspokes) for believing in me and agreeing to let me join the tour in the first place. From the first phone call with Dermot he was so supportive and encouraging, and has been throughout. Thank you for that. Unicycling with a group of mountain bikers did mean that I had different requirements and needs to the rest of the group. These were all met without compromising the others and their needs. In fact the whole group were always there with their words of encouragement and support. Thank you everyone for that. Throughout, Suresh, redspokes' Nepali mountain bike guide and tour leader, was the perfect leader and guide. Having ridden this route 21 times he had so much experience which helped this tour run smoothly and without problems.The Nepali camp crew were excellent. Great food, which was always varied and healthy, whether it was first thing in the day, on the ride itself, or for the three course evening meal. The tunnel tents were spacious and we even had a Western style loo (not en-suite though).In camp we were always well looked after - nothing was too much trouble for them. The Tibetan guide was always informative when visiting monasteries and other places of interest. Tensing was always there to help you, or to answer your endless questions. Thank you Tensing for your endless support with my extra long days on the unicycle.Overall, I rate redspokes as a very professional adventure tour company. Would I go on another one of their tours? Only if I can take my unicycle! I have traveled around the world and there has been nothing in my life that has gripped me with such passion as this challenging trip did!The unbelievable sense of accomplishment every time I crested another 5000+ m pass, marked by the prayer flags that cover this amazing country.Dermot led us on a trip that can only be called unbelievable. 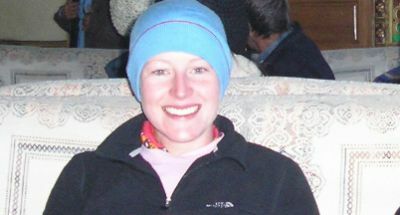 There isn't a day that goes by that I don't relive this trip: the sight of Everest for the first time, the Buddhist temples, the friendly people, even the total exhaustion of riding head on all day into a strong Tibetan wind.After completing this trip, the only way I will ever top it will be to do it again, and someday I will. It was possibly the best experience of my life, and is certainly one that I will never forget. I can't speak highly enough of the well oiled redspokes machine (plus partners), and have been singing your praises to all and sundry. (I particularly liked the hands on personal service, especially when I first enquired-although I didn't really realize till after, that I was being assessed for suitability as much as I was finding out about the trip!! I was very sad to see everyone leaving Kathmandu at the end of the trip, it was kind of hard to try to describe the experience to anyone who hadn't been there, even cycling pals. Anyway, thanks again. My recent trip from Lhasa to Kathmandu was the most fascinating holiday and hardest work out I have ever done. Because of my age and the fact of not having done anything on this scale before, I was apprehensive for many months beforehand, and was so pleased when we started to find that the back up and support was as comprehensive as advertised. No one felt obliged or pressured to ride in the vehicles unless absolutely necessary to reach the planned stop before nightfall which lead to a genuine sense of cooperation and camaraderie between all members of the group from youngest to oldest, and no stigma attached to having to accept a ride for a while. I was pleasantly surprised by the standard of hotels used, not expecting the clean 3 star establishments with en-suite facilities and "proper" toilets that were provided. A local guide and transport were used on the five acclimatisation and rest days in Lhasa, Xigatse and Kathmandu for the sightseeing trips which I had not expected and which added greatly to the overall holiday experience. However, I must say that most of my comments must go to the fantastic service and facilities provided by Loka and his team. 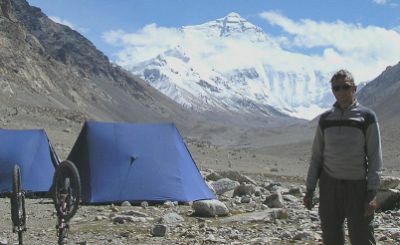 I was expecting very primitive conditions with tiny two man tents and not much else, but we were made very comfortable and well fed under a wide range of climatic extremes and from dawn to dusk, not only at the camp sites, but also at the regular 20km and lunch stops during the cycling days. I will always remember Loka looking out and walking down the road to see that everyone was managing to reach the stops OK with genuine concern and encouragement. There was always more than enough food providing ample carbohydrate three times a day with hot water for washing as a wake up call every morning and a proper sit-down toilet. 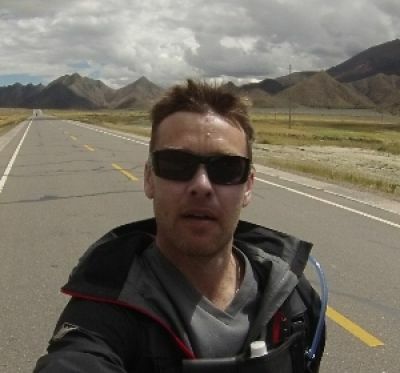 Just writing to say thanks to you and Lee for a great trip through Tibet last October. Tibet has always been one of my dream destinations (Hillary, Everest, high altitude desert, Buddhism, Shangri-La, etc) and the way the trip was organized met all my expectations. I really enjoyed the chance to interact with the locals through Nawang and Mr. Loka yet still have the challenge of getting through a real adventure and experiencing all that goes with that. I'm already looking forward to doing this again with you guys somewhere else. This truly for me was the trip of a lifetime and every day lived up to my expectations and beyond.Its impossible to explain the amazing scenery and the emotion at being at the rooftop of the world! Even on the toughest days there was always something that made you smile. This is an incredible adventure. We had a wonderful group, relaxed and fun to be with.The support and encouragement was always in abundance. David our "leader" ;-) and all the support team Tibetan and Nepalese did an incredible job looking after us, the meals they turned out to say the least were spectacular!!! I couldn't fault a thing! This was my third redspokes tour and you continually get it right... Well done and I look forward to choosing my next adventure with you.
" I've never been on an organised tour before, as I normally prefer to be able to go at my own pace and change routes if I feel like it. For... "